Irene Kane presents a 30-minute radio documentary entitled The History of the Automobile Association Ireland. 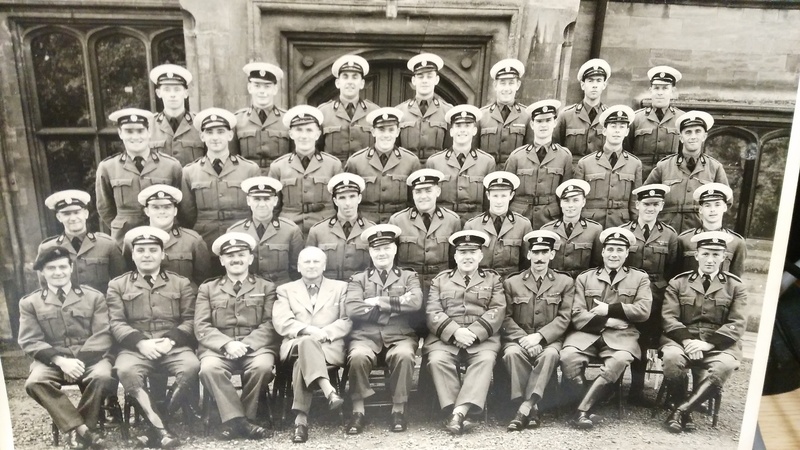 The programme features interviews with Barry Kane, whose father was a patrolman between Drogheda and Dundalk and with Peter Connolly who is a retired AA Frontier Officer who worked near the Carrickarnon Customs post on the old Dundalk-Newry road. Peter Kavanagh reads a letter sent to Irene’s uncle Seamus Doherty who was also an AA Patrolman. The letter gives instructions for traveling to the AA Training School in Nottingham, England for a training course. The History of the Automobile Association in Ireland is presented by Irene Kane, recorded and edited by Alan Byrne with additional sound effects recorded by Pat Kane. I’m a regular listener to Dundalk FM. I live in London and find it keeps me in touch with home being formerly from Dundalk. I happened to be listening yesterday and there was a documentary on about The Automobile Association of Ireland. I found this not only interesting but extremely well presented and researched. Compliments to Irene Kane and all involved in this documentary. Keep up the great work. This programme was funded with the support of the Broadcasting Authority of Ireland with the Television Licence Fee. The Automobile Association was formed in London on 19th June 1905 to consider ways to overcome the perceived police oppression of early motorists and their use of speed-traps. The strategy they formed was to employ cycle scouts to patrol main roads and warn members of any police traps ahead. Initially, a motor cyclist and three pedal cyclists were recruited. The AA came to Ireland in 1910 and this documentary will look at how it evolved, narrating its early history and talking to people who worked for the AA. The programme will look at the history of the AA in Ireland. For centuries the ‘horse and cart’ was the only form of transport people had and it served them well. But now there was a revolutionary new invention called the motorcar. This was a huge advancement in transport, if you could afford to have one. But not everyone was in favour of this new invention because the motorcar travelled faster and it was noisy and created more dust on the roads. Some people even called them ‘horseless carriages’. Pressure was mounting on the police to curtail these speeding horseless carriages and so spawned the birth of the ‘Automobile Association’ better known to us as the ‘AA’. 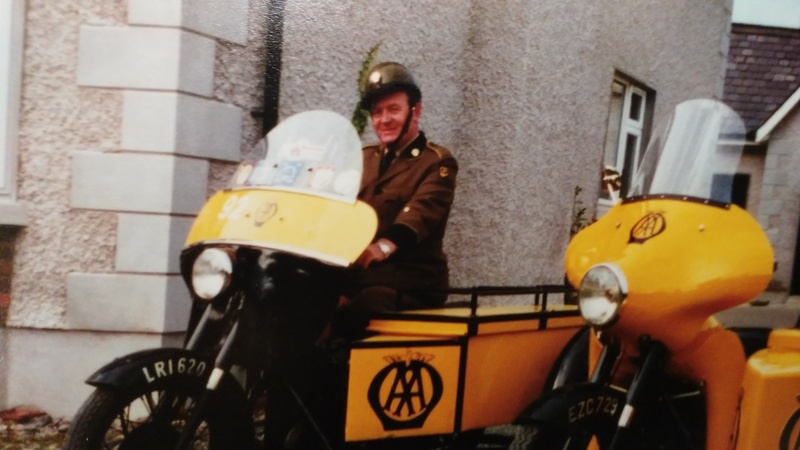 Many of the older generation will remember the AA Patrol Man’s famous ‘Salute’. In the early years of motoring low speed limits were introduced along with speed traps to enforce them. The AA advised its members that their Patrols would warn of speed traps ahead by saluting motorcars with AA Badges displayed. The Authorities declared this to be illegal and ordered the AA to stop. The AA then proclaimed that their members motorcars would always be saluted unless there was a speed trap ahead and so they were able to continue to warn the motorist. 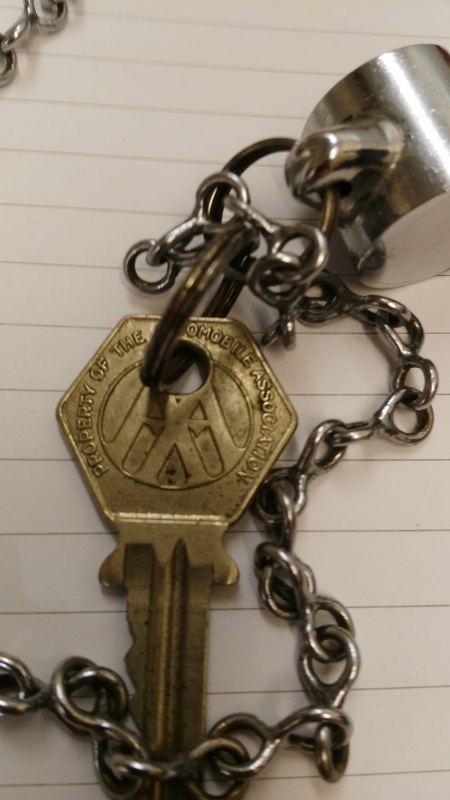 This famous ‘salute’ continued to be used up to the mid 1960’s as a courtesy gesture to all AA members with Badges displayed on their vehicles. 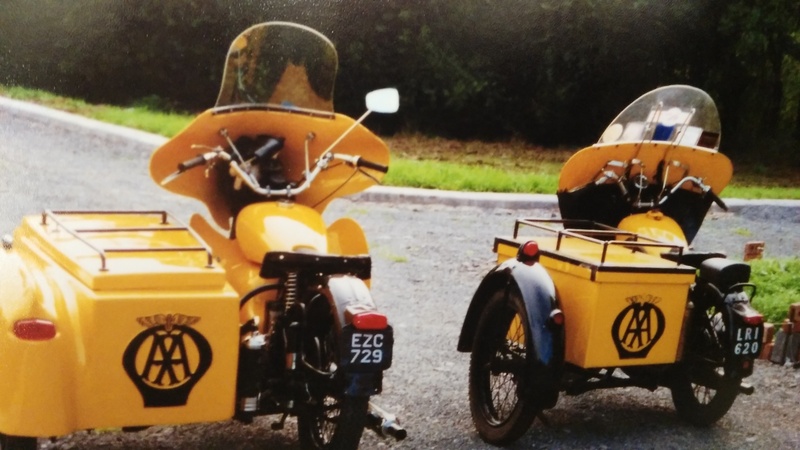 While the AA used bicycles initially they soon had their familiar yellow and black motorcycle/sidecar combination. These machines were widely used up until the 1960’s. The AA erected the first ever road signs to be seen in Ireland, amounting to 4,000 in the first year signs such as: ‘Road Closures due to Inclement Weather’ or ‘Drogheda 22 miles’ or signs to advertise ‘Forthcoming Events’. The AA held this responsibility for 40 years and many of these signs are still to be seen today.